Subaru unveiled its first-ever S209 for the American market – a top-level performance sedan for the automaker. As the halo brand for the Japanese automaker, “S” models have never been sold in the U.S. The S209 is due to arrive on American shores later in 2019. The car features a 2.5-liter four-cylinder turbocharged boxer engine the company claims will produce 341 horsepower. A six-speed manual is rumored, but not confirmed at the reveal. The car stands out from the traditional 209 sedan with a large hood scoop and fender flares, a carbon fiber roof and large pronounced rear wing. The company claims the car will top 1.0-g on the skid pad, better than any previous STI performance variants of the 209 in Japan. The limited-edition S209 will come in two colors, Subaru racing blue and pearl white. 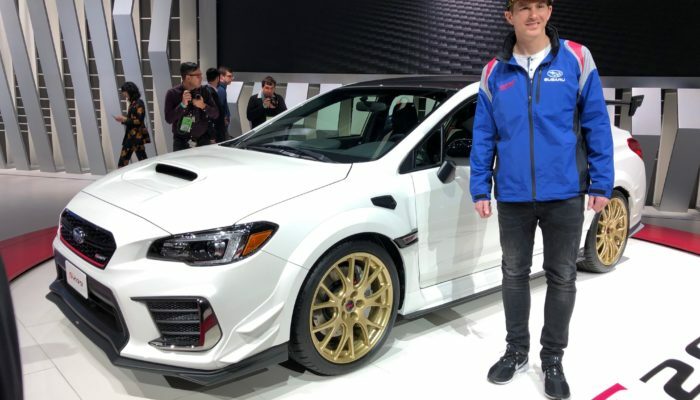 Subaru also announced rally driver Scott Speed will join the factory team for American Rallycross.